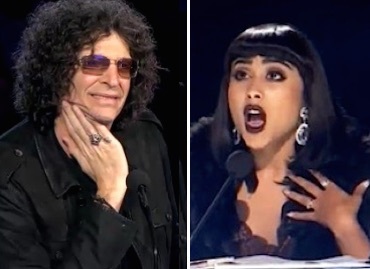 American’s Got Talent judge Howard Stern has weighed in on the Natalia Kills / Willy Moon firing over at The X Factor New Zealand. In the televised clip, Kills called contestant Joe Irvine “disgusting,” “artistically atrocious” and a “laughing stock” for copying Moon’s super unique look of slicked back hair and a suit (basically everyone on American Idol and The Voice). “[In] this world of ours, everyone gets fired for being a little outrageous,” he said, adding that he’s never felt “hatred” for anyone who auditioned for AGT. Same species always support each other.